It Pays to have Friends Who Are Master Scrappers! 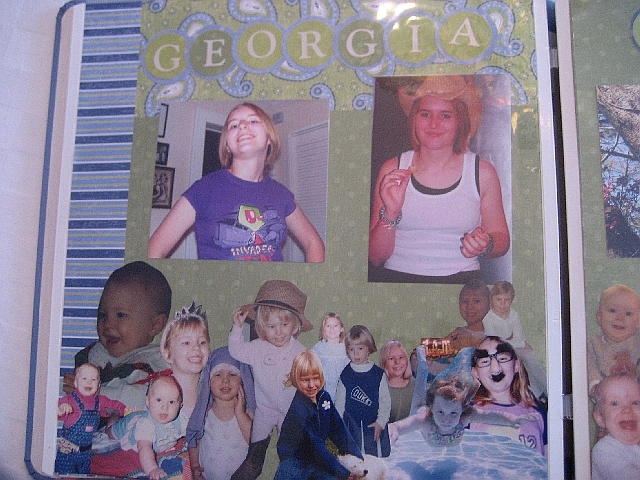 A scrapbooker, aka scrapper I am not. 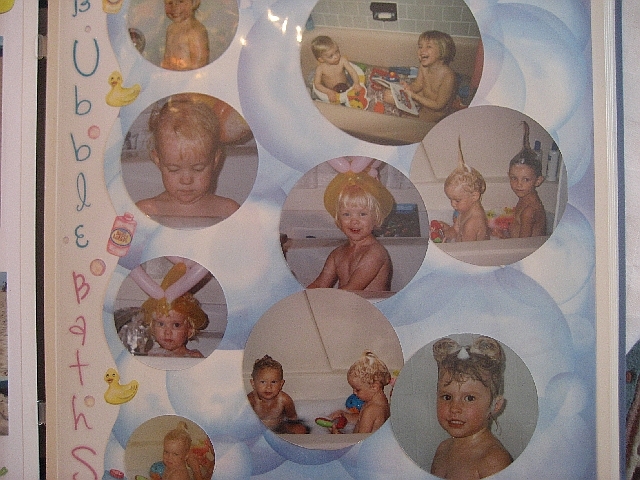 When scrapbooking first came out in the craft stores, I paid little mind. Then when craft stores expanded their single aisle devoted to scrapping to several, I still paid no mind. When entire stores devoted to scrapbooking started popping up, I thought to myself "that won’t last". Well, you proved me dead wrong all you scrappers out there. Apparently there are armies of you, lined up elbow to elbow at organized "crops". Cruising the caribbean all the while scrappin’! My scrapping friends are horrified by the boxes of unorganized photos shoved in the closet. The Creative Memories consultant was dumbfounded at my complete lack of interest and absence of checkbook when I attended my girlfriends CM party as a show of support for her and her free food. My best friend master scrapper Tammy doesn’t hold it against me, she stills loves me in spite of my lack of enthusiasm for the art of scrappin’. 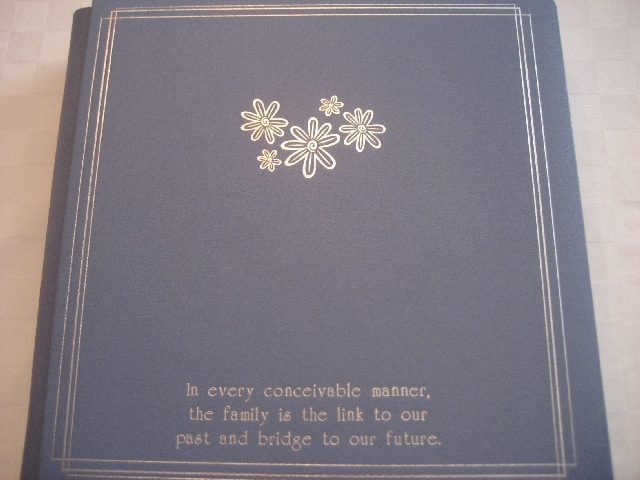 She bestowed on me for my recent birthday the most tremendous and generous gift, a family scrapbook of my own! She toiled through my disorganized pictures, she sorted, she cropped and she embellished. And I am forever grateful because she created for me the most FABULOUS album EVER! First she sent off the album to be embossed. 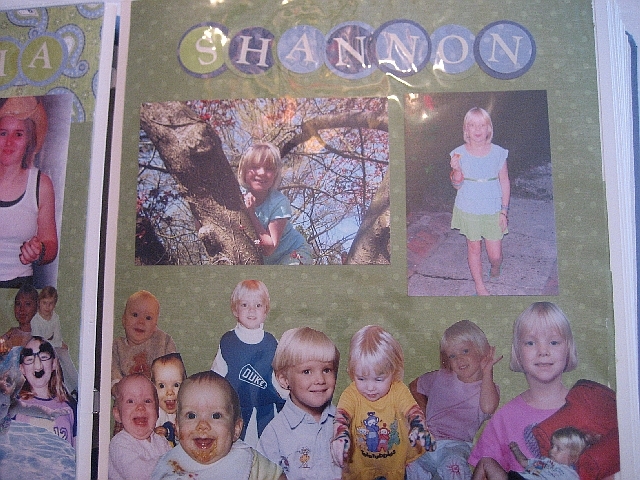 These are just a few of the wonderful pages she did about my girls. 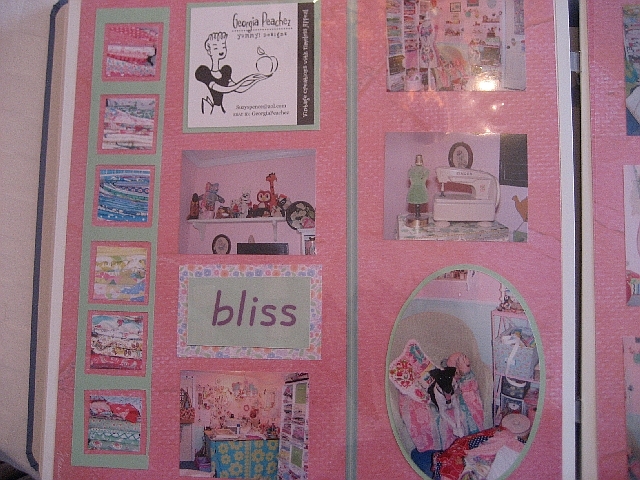 These pages are about my sewing studio! WOW! 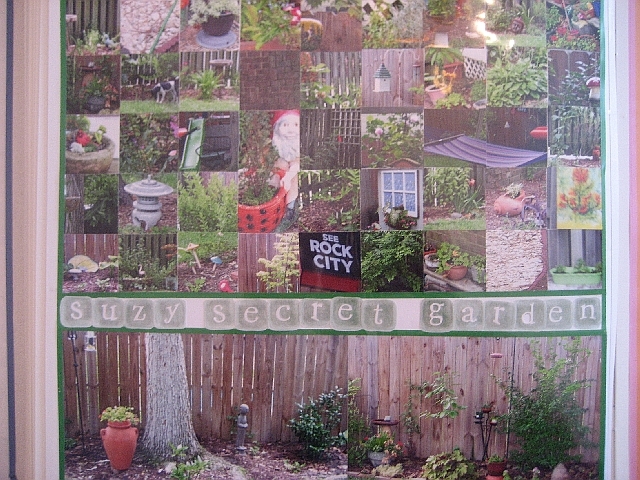 My garden, isn’t the mosaic so cool! Who needs to be a scrapper with friends like Tammy! Holy moly–As a quasi scrapper, I gotta tell ya–that is one GOOD friend ya got there! Cool! I feel exactly the same way as you do. I kept saying NO,NO,NO!!!! I am into so many other things and I always have to go the whole hog in whatever I do and so I knew that scrapping would be huge if I did it. I’ve managed to steer clear but sometimes I have to admit I am tempted when I see some of the beautiful work that people so. Just say NO,NO,NO…repeat (as many times as necessary). 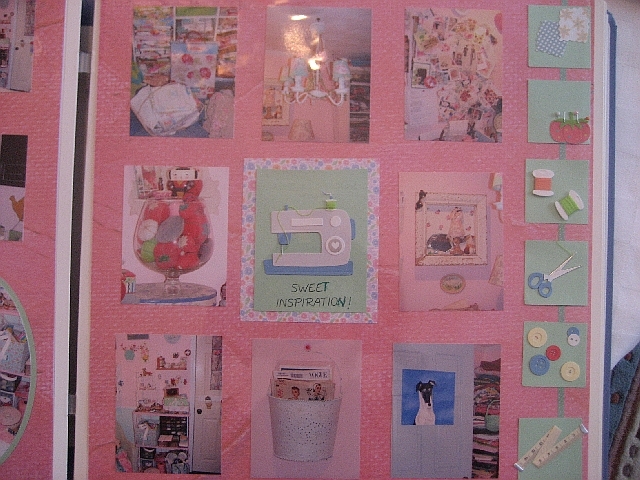 I do scrapbook and I go to the crops but I am more about the social aspects and the food than the actual scrapbooking. I just have to say “you have a really good friend that will do that wonderful book for you”, it shows that you must be a great friend to her to go to that much trouble. What a wonderful gift she gave you!I tend to keep my photos in boxes as well or in files on a photo program. WOW!!! I have no idea how these scrappers do it, such a talent! What a great gift!